They're the pillars of daily life for Global Voices Lingua sites. 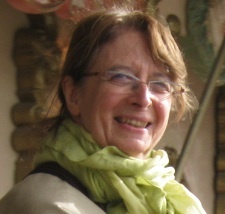 Global Voices French translators form a large group with a wide variety of backgrounds and geographical locations. For some their journeys take to several different continents in the course of their lifetime. To meet them “IRL” (in real life) sometimes you need to travel too: and it's thanks to the Global Voices Summit, the world Global Voices meeting which takes place once every two years, and which was recently held in Colombo in Sri Lanka, that we were able to meet face to face with Jade Dussart, who shares her passions with us below. Global Voices (GV): Tell us what made you join Global Voices in French's team of translators – and return to it after a several year hiatus? Jade: I joined the GV in French translator team when I was an undergrad in languages in Aix-en-Provence. One of my teachers told us about GV as a reliable source for learning about Asia (at the that time I was getting a degree in Chinese and Korean). As soon as I noticed the “Join Us” section, I didn't hesitate. That was in March 2011. I was looking for a way to get involved in a cause that was important to me and to add volunteer experience to my resume. My commitment has varied over the years, but I never really left Global Voices. During my year in China I couldn't translate anything as the site was censored. GV: You have a strong preference for articles on Asia (and China in particular). Why? And have these articles changed your understanding of these countries? Jade: Indeed, I think that if one analyzes my translations over these past six (soon seven!) years, only two or three articles deal with regions other than Asia. It is an area that fascinates me, I have devoted all my research to it and its now my ​​specialty area, as a researcher on human rights. I have lived in China and South Korea and South Asian culture appeals to me greatly (especially the music and cinema). The articles I translate focus mainly on human rights issues. This is both a way for me to monitor the human rights situation in the region, but also to share this information with French-speaking readers who aren't necessarily aware of what's happening in Asia. 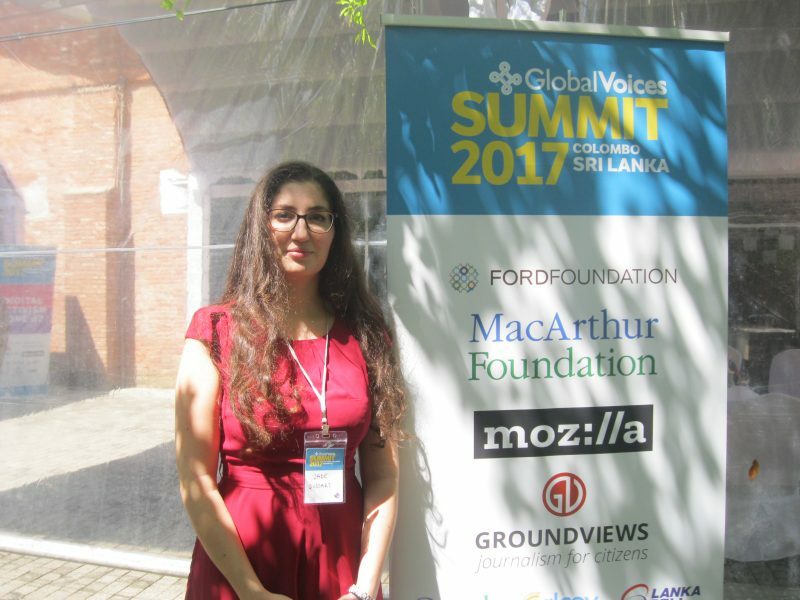 GV: You just attended the 2017 Global Voices Summit. What made you decide to participate? Jade: When I realized that the participation process was more open than in previous years, I decided not to miss out on this opportunity and submitted an application, to avoid any regrets. I had to at least try! The fact that the Summit was being held in Sri Lanka, in the heart of area of expertise, played a huge part in the decision. I was curious to meet Sri Lankan and Maldivian activists, of which I know there are a lot in Colombo, as well as the Global Voices community, of which I've been part of since 2011 without having ever met any other members! I was so proud to see my name among the lucky contenders! GV: What words would you use to describe this experience? Jade: For me, this Summit has become a sort of therapy. An exercise in self-confidence, which isn't always easy when you are surrounded by people each one more interesting than the last, with impressive journeys, courageous battles, innovative projects. The Summit was very enriching from this point of view, as I realized by talking to everyone that many GVers suffer from impostor syndrome, regardless of their profile! This allowed me to establish deeper connections with other GVers, emotionally strong ones. GV: Have you come back from this Summit with new projects, new goals? Jade: One thing I snuck into my luggage was a wish to start writing for Global Voices, boosted by Sahar [Sahar Habib Ghazi, Global Voices editor-in-chief] Gwen [Gwenaëlle Lefeuvre, Global Voices in French co-editor] and Lova [Lova Rakotomalala, francophone region editor]. I would also like to be contribute to the development of Advox – which is directly related to my advocacy work for human rights – and in particular the Threatened Voices project. GV: Tell us a bit about your professional life. How does your translation work for GV fit into it? Jade: I just completed a contract with the NGO Front Line Defenders in Dublin, where I was a researcher on the situation of human rights defenders in Asia. Since finishing school in 2015, I have moved through several human rights NGOs such as Reporters Without Borders or Agir Ensemble pour les Droits de l'Homme (Act Together for Human Rights), a line of work that I like very much. My translation work, I must admit, depends on my workload for the week. In recent months, my days were so full that I only visited Global Voices as a research source. But while I'm job hunting, I'm planning to take up my translation work again, and who knows even start contributing as an author! Was lovely meeting and reading you, Jade! And thank you so much for the translation, Nadine!